Gas Stoves Vs. 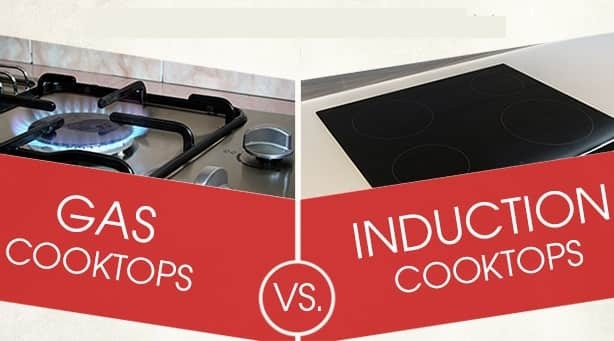 Induction Cooktop: Which Is Better? If you are planning to move and thinking of upgrading your kitchen, but not sure as to whether to go for an induction based cook top or to retain the old gas stove one, then you definitely need to read the rest of the article. Both these products are being manufactured commercially now and each comes with its own pros and cons. Perhaps, it is time that you took a closer look at the same. Start cooking immediately: One of the advantages to a gas cook top is that you can use it right away to cook your meals. All you need to do is to turn it on, adjust the heat and that’s it. Unlike electric cookers or induction based cook tops, you do not have to warm the stove before using it; so essentially you can start cooking right away without any lag time. Visibility: The other advantage that the gas cook top has over other variants like Induction and electric is that you can view the flames directly. This can enable you to roughly determine how much heat is being produced and if it is too much, then you can adjust the flames accordingly. Any vessel: You can use almost any vessel with a gas cook top, so you would not have to head to the local store to purchase any new vessel. Whereas with Induction and electric cookers, you may be required to purchase separate vessels, while there is no such requirement with a gas based one. Cost: While induction cook tops may seem to cost less than gas cook tops, they are a little more expensive when you include the cost of new vessels for the induction cook top. When you work out the cost between the two, the gas stove one is cheaper, though not by much. Safety: This continues to remain one of the main concerns to this day since accidents with gas stoves are known to happen and some have even caused fatalities. It is important that you use a certified professional when it comes to installation. Make sure that the stove does not leak as LPG (fuel), is highly combustible. Maintenance: Gas stoves are hard to clean and often get dirty. This seems to be a permanent issue as far as gas stove cook tops are concerned. And naturally they require maintenance round the clock. Speed: As hard as it may be to believe, induction cookers are much faster and can boil a pan of water in less than 90 seconds. Heat efficient: Induction based cook tops are quite efficient when it comes to the heat. These cook tops often heat only the vessel and produce enough heat just for the same. Sleek design and easy maintenance: Unlike a gas stove, an induction cook top does not come with metal grates and is quite easy to clean and to maintain. Moreover, it comes in a sleek, futuristic design that’s aesthetically pleasing to the eye. Temperature control: An induction cook tops do not come with manual knobs, instead you can set the required temperature, adjust the settings and that’s it. 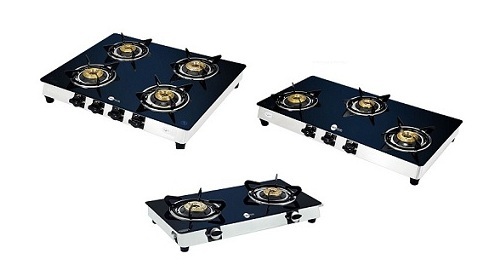 Safety: Induction cook tops are a lot safer to use than gas stoves; for one, you would not have to worry about leaked gas and for another, an induction cook top uses electricity and not some combustible fuel like LPG. Induction cook tops are safe, easy to use and come loaded with all the advanced functionality that you would ever require. Vessels: The one major disadvantage when it comes to induction cook top is that you would be required to use flat bottomed vessels. This can be a problem since most consumers do not use flat bottomed vessels, so you will have to purchase a few when setting up your induction cook top. Induction cook top vessels are quite expensive but they are a required expense and one that you may have to bear, when using your induction cook top. Time lag: The one problem with induction cook top is that it does not increase or lower the heat immediately. Just as you need to warm up your induction cook top before using it, you need to wait some time before the new temperature setting comes into effect. This can be quite irritating especially if you are hosting ten people for dinner and that you are running late at the moment. Cost: The induction cook top can be quite expensive; the cook top on its own is priced reasonably but when you work in the cost of all the new vessels that you have to purchase, the overall cost goes up. While it should be pointed out that more consumers have stated using induction cook tops regularly, the gas stove continues to be popular for all the above said reasons. When it comes to precise cooking, the gas stove trumps an induction based model each and every time. But given the recent developments in the field of Induction, we can expect better designed induction cook tops that can pretty much mimic everything that a gas stove can do. But that being said, the gas stove is much better than an induction cook top, and one that is doing all it can to hang on to the title. Glass Top Gas Stove Vs Stainless Steel – Which Is Better?